October, the annual observance of National Breast Cancer Awareness Month, is a time for reflection on the pervasiveness of the disease. In the general US population, one in eight women will have breast cancer at some point in their lives and it is the most common cancer in American women. 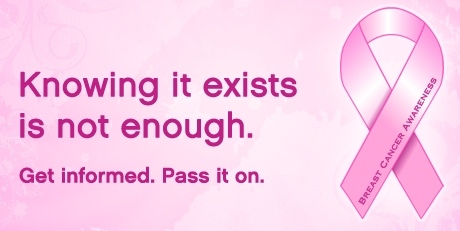 But breast cancer is not only confined to women. In 2009, 211,731 women and 2,001 men in the United States were diagnosed with breast cancer and 40,676 women and 400 men died from it. Even if you believe in and support the cause, you can still be unaware how widespread breast cancer is, and what you can do– beyond wearing pink– to inform yourself and others to reduce your risks and those of your loved ones. 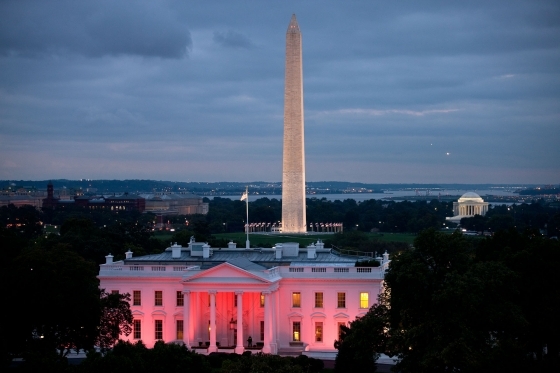 The Federal government is doing a great deal to increase public awareness and disease eradication: everything from lighting the façade of the White House with pink floodlights during the month’s observance to spending $602.7 million on research at the National Cancer Institute in 2012 and funding a number of stellar breast cancer publications from the Department of Health & Human Services for both consumers and health care professionals. Learning more can help you do your part to be more aware and give yourself and your family and friends a better chance at being healthy. Many circumstances affect one’s chances for getting breast cancer. Some factors can be controlled; others cannot. In The Healthy Woman: A Complete Guide for All Ages (ePub eBook), we learn that the controllable risk factors include environment (exposure to second-hand smoke, chemicals, radon, etc.) and personal history (diet, UV exposure, use of alcohol, tobacco, drugs or some medications such as hormones, etc. 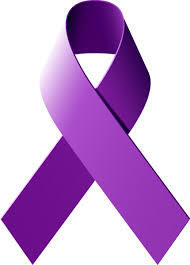 ), while family history (genetics) and the age at which a woman enters menopause are factors beyond a woman’s control. Statistical evidence shows that not all women, especially women of color, do enough, or can get enough care, to protect themselves from breast cancer. Reading Breast Cancer: Black Women Have Higher Death Rates From Breast Cancer Than Other Women can make a reader upset and more determined to do his or her best to prevent breast cancer. 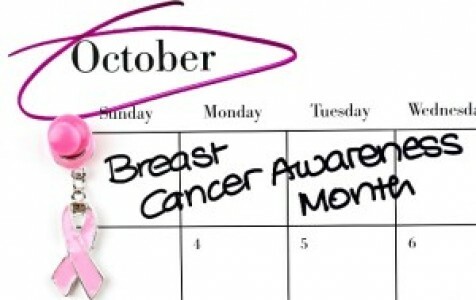 Breast cancer is the most common cause of death from cancer among Hispanic women, and the second most common cause of death from cancer among women from all other races. According to this recent statistical report, black women are 40% more likely to die from breast cancer than white women, compared to women of other races/ ethnicities. New changes enacted since the report was issued late last year, such as implementation of open season starting under the Affordable Care Act (ACA) [Learn more about the ACA in our Government Book Talk post “Everything You Should Know About The Health Care Law“], may improve the statistic, since the ACA will provide 30 million previously uninsured Americans with health care if they go get it. These changes might reduce the risk to women’s death rates from breast cancer in the future as health care becomes more available to all. and/or make careful decisions about taking hormone replacement therapy (HRT). Surgery Choices for Women with DCIS or Breast Cancer. The Guide to Clinical Preventive Services 2012 provides the latest recommendations for who should get a mammogram based on various risk factors including ethnic background and family history of breast cancer, when and how to do it and at what age. It also goes into the pros and cons of various alternative forms of breast cancer screening from the most reliable film mammography to digital mammography, MRIs, Clinical breast examination and breast self-examination. Understanding Breast Changes covers a discussion of the normal breast changes over the course of a woman’s lifetime, how to get a mammogram and understand the results, how to get the support you need, a glossary and a list of resources for more research. The Healthy Woman offers more general information on getting the right kind of health care for women. The writers recognize symptoms relating to particular diseases impacting a woman’s health, and they discuss various available treatment options for those diseases. When women do find that they need treatment, particularly surgery, for breast cancer or ductal carcinoma in situ (DCIS), they need to know as much about their proposed procedure as possible. An informed patient can much better participate in her own recovery, and give needed information to her surgeon, as well as provide herself with the knowledge of what is normal and what symptoms require follow-up. Surgery Choices for Women with DCIS or Breast Cancer covers those topics, and is a good starting point for a woman facing surgery for either of those conditions, when she is also consulting her care provider, surgeon, friends and family. These highlights from these informative books may have made you realize that it’s time for you to improve your own self-care, or urge the women in your life to improve theirs. If that is so, then the best place to start is with the some public health research. You can find out more by reading the publications listed below. How can I obtain these breast cancer publications? Shop Online: You can purchase these two publications from the U.S. Government Online Bookstore at http://bookstore.gpo.gov by clicking on the links above in this blog post or shopping our collection under our Cancer category. 2) Protect Yourself from Breast Cancer [infographic], Breast Cancer: Black Women Have Higher Death Rates From Breast Cancer Than Other Women, Understanding Breast Changes: a Health Guide for Women, and Surgery Choices for Women with DCIS or Breast Cancer. Find them via the CGP: All the breast cancer publications above are available in electronic form from GPO’s Catalog of Government Publications. FOR LIBRARIANS: There are records available for the electronic versions of all these works in the Catalog of Government Publications, and you can buy your own copy of The Healthy Woman: a Complete Guide for All Ages [eBook and The Guide to Clinical Preventive Services 2012: Recommendations of the U.S. Preventive Services Task Force in the GPO Online Bookstore.